Thank you everyone that continues to support the school by clipping box tops. It is amazing how this all adds up. We have brought in hundreds of dollars this year. This money will go to field trips, recess equipment and much more. If you are wondering how this works, it is very easy! First, find box tops on hundreds of your grocery products. Then, clip them out ad bring them to the office. 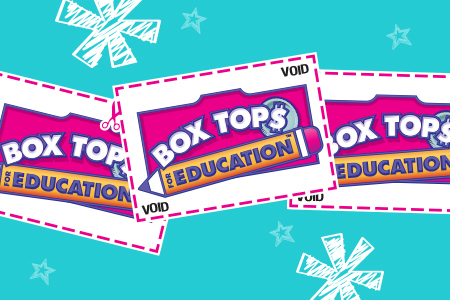 We turn them in and receive 10 cents per box top. Just make sure that your child's name is on the box top. Prizes are given out to students and classes for their participation.